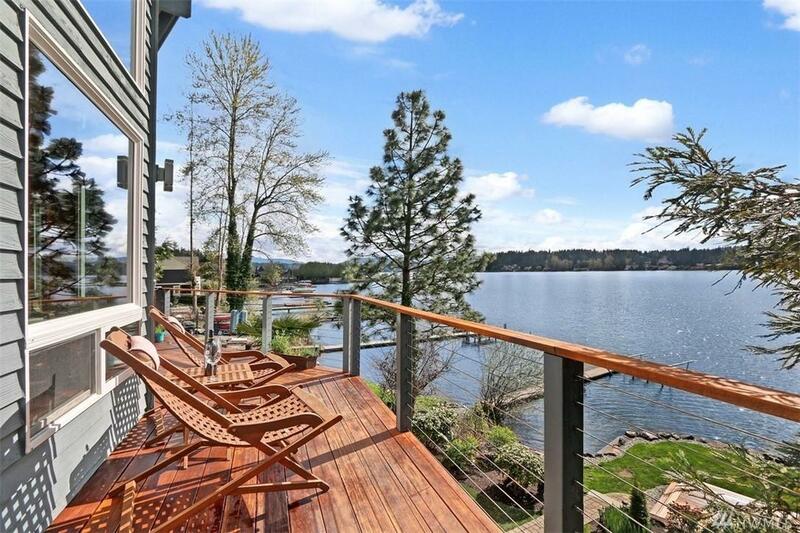 Quintessential NW waterfront living awaits! 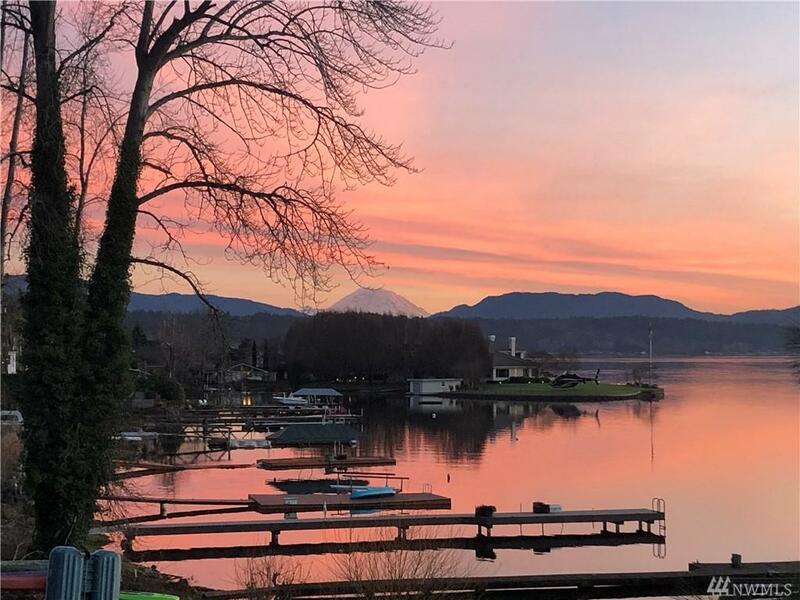 Lake Sammamish & Mt Rainier take center stage. This freshly remodeled, open floor plan home lives large & is adorned with high-end custom finish work throughout. Soaring ceilings & walls of glass bathe this home in natural light. 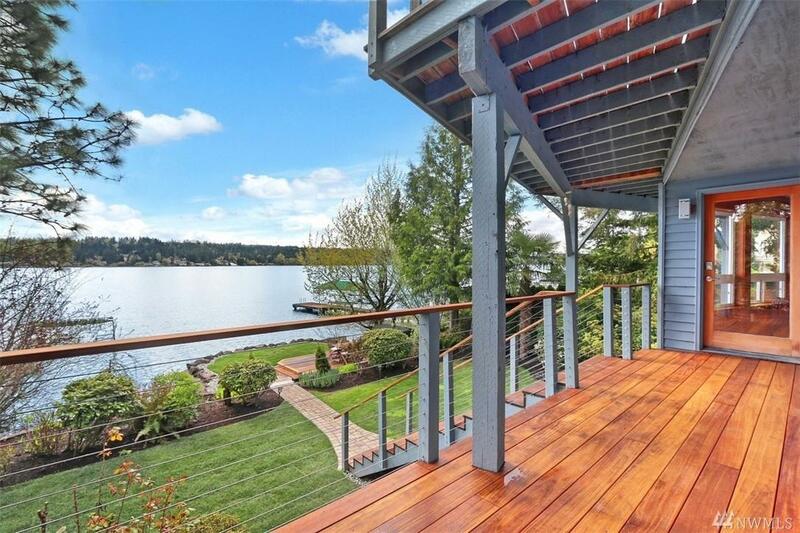 Huge gourmet kitchen & 2 lakefront decks for dining alfresco. The master suite w/ 5 pc spa bath + f/p commands the top floor & enjoys dreamy sunsets. 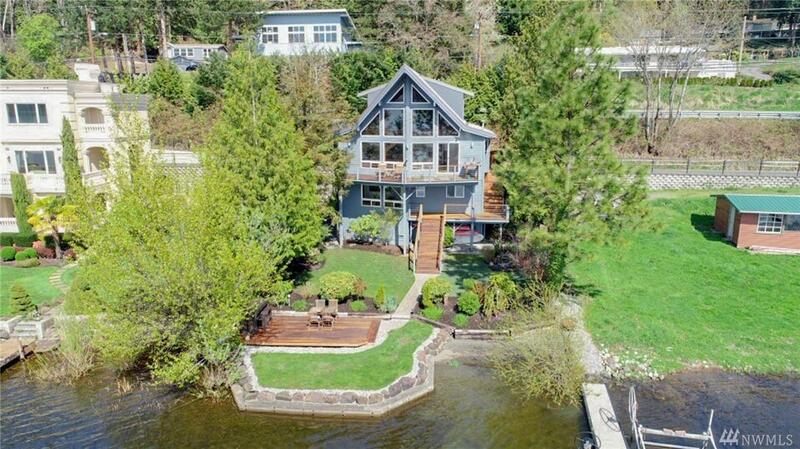 Lush lawn, 50 waterfront, newer dock & 2 car gar. Perfect & move in ready!